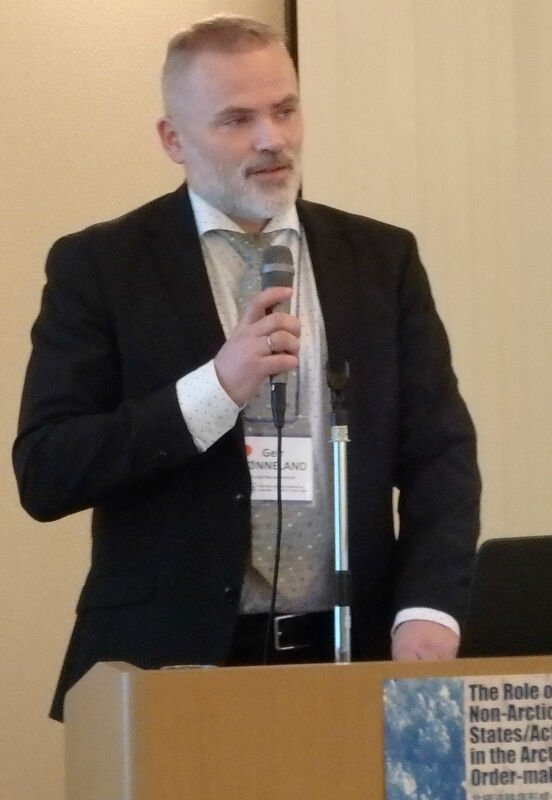 Hønneland gave a presentation at a session about the legal order in the Central Arctic Ocean, providing experiences from international fisheries management in sub-Arctic waters. -There seems to be an assumption among some that there is a simple causal connection between water temperature and the whereabouts of fish, like ‘the Arctic Ocean is getting warmer, so the fish move up there’, says Hønneland. However, the reality is far more complex. The five Arctic Ocean coastal states – Canada, Denmark, Norway, Russia and the US – together with five non-Arctic Ocean states – China, Iceland, Japan, South Korea as well as the EU – in November concluded negotiations on a draft agreement to prevent unregulated high seas fisheries in the Central Arctic Ocean. -The agreement, which has not yet been signed, is a precautionary measure. There are no fisheries taking place in the Central Arctic Ocean and no known fish resources there. There is, however, an extensive fishery in sub-Arctic waters such as the Barents and the Norwegian Seas, says Hønneland. Past experiences from these regions have shown that the ability of different fish stocks to move northwards varies significantly. Not only water temperature plays a role, but also currents, light conditions and not least different characteristics of the different stocks, such as general mobility and spawning behaviour. -In general, demersal species, which live on the sea bottom, are more stationary than pelagic species, which live in the water column. The pelagic stocks of the Norwegian Sea – herring, mackerel and blue whiting – have expanded their area of distribution northwards in recent years, which has created challenges in the distribution of quota shares among the coastal states in the region, explains Hønneland. -However, the commercially most important stocks in Arctic waters, the Northeast Arctic cod and haddock, are bottom species that live on the shallow continental shelf in the Barents Sea that will not be able to move into the deep waters of the Arctic Ocean, he concludes.